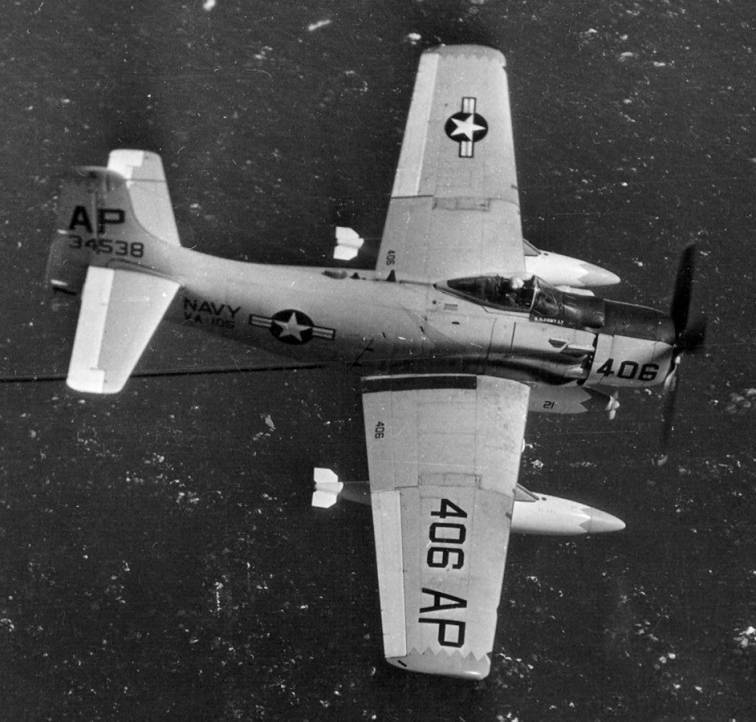 The first VA-105 was commissioned on 1 May 1952 at NAS Cecil Field flying the AD-1 Skyraider. 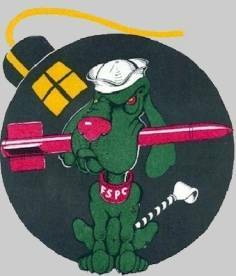 The squadron changed home-base between NAS Jacksonville and Cecil several times during the 1950s. 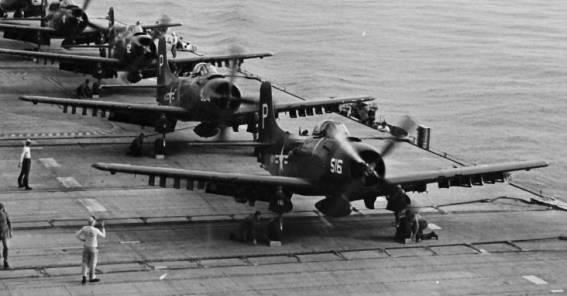 In July-August 1958, the squadron flew close air support missions from USS Essex (CVA-9) during the landing of U.S. Marines in Beirut, Lebanon. 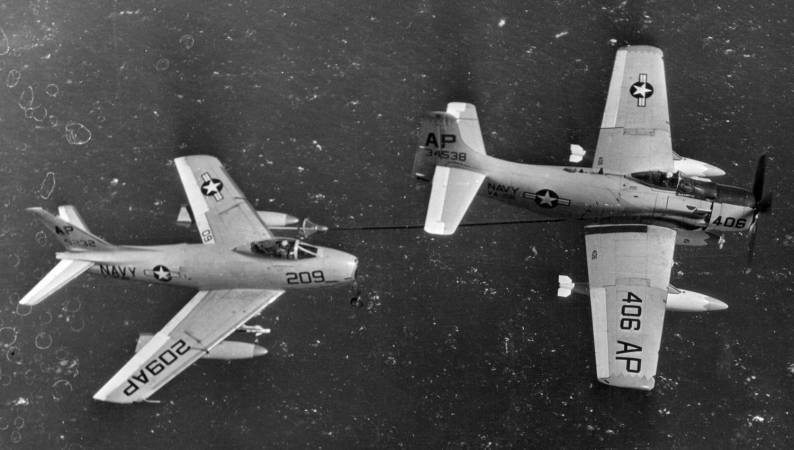 Aircraft from VA-105 were the first to be on station during the landings, and squadron aircraft flew road and border reconnaissance sorties. 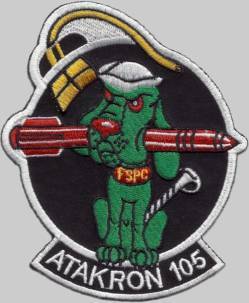 Several aircraft were damaged by ground fire on their reconnaissance missions, however all aircraft returned safely to Essex. In September 1958 when the Chinese communists began shelling the Quemoy Island group, Essex was ordered to transit the Suez Canal and report to the U.S. Seventh Fleet for duty in the Taiwan Straits. 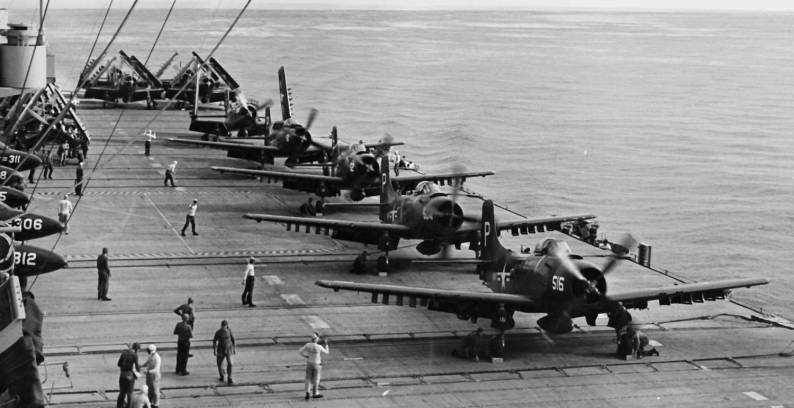 In November 1958, the squadron's mission was changed to training personnel in the AD-6 Skyraider. 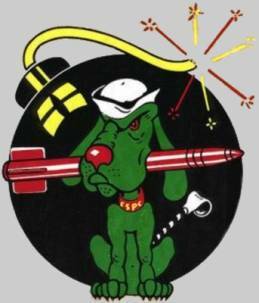 The squadron was decommissioned on 1 February 1959.